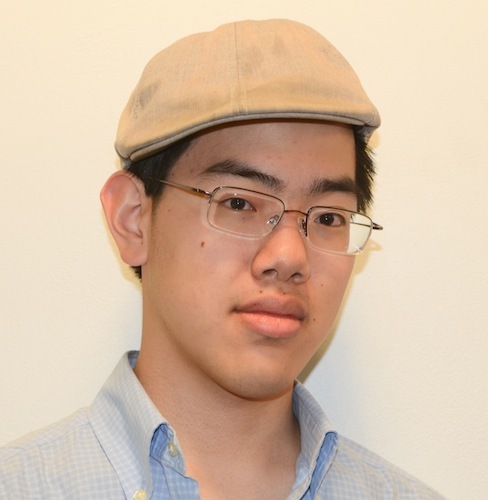 Stanford student Winston Shi, your new favorite Auburn writer. It’s been a pretty miraculous month for The War Eagle Reader. First Ricardo crashed the site a couple of times, killing it, only to have Chris bring it back to life just to kill it again, take its hand, and guide it 109 yards into a sublime perpetual pageview Nirvana we thought reserved only for homepages. Miracles: TWER became the homepage for miracles. Monthly traffic records set at the height of Camelot fell in, like, four days. Yessir, when Auburn wins, everyone wins. That article you probably forwarded us? The one in the Stanford Daily that basically said the Iron Bowl, in all its mind-melting cosmic coincidence, was “the new Big Bang” of college football… that maybe in Chris Davis’ last-second touchdown—”the single most unlikely play in football unfolding at the absolute perfect moment”—there in some way exists all the wonder and glory of past, present, and future touchdowns? It set the student newspaper’s one-day record for pageviews: 28,000. War Eagle. The response to the article, says Winston Shi, the Stanford undergrad who wrote it, has been almost as overwhelming as the game itself. “The piece published late Wednesday night if I recall correctly with negligible popularity,” Shi says. By Thursday, his Iron Bowl column was at 1,600 views—which was more than the 500-1,000 his columns average, but not unheard of. When he woke up Friday morning, there were more than 100 emails waiting for him. Most were from Auburn fans. Some were from Alabama fans. All were complimentary. That’s how good Shi’s column was—even fans of the team on the losing end of college football’s new big bang ate it up. But Auburn fans devoured it. They say that at the Big Bang, all that has ever existed was compressed into a single point in space. On Saturday, America converged on a small town in eastern Alabama, and for a moment, Jordan-Hare Stadium held a country inside its walls. As sports fans, this game is part of who we are. We are here to witness the impossible brought to life in pads, a leather ball and freshly mown grass, and on Saturday night, all the vast expanse of college football lay before us — terrifying and compelling, obvious and unknowable, transient and immortal, and all at the same time. I do: emails. I’m sure social media rules out on the West Coast, but down South, we still like our tea sweet and our links forwarded directly to our inbox. With emoticons. We’re still getting emails about Shi’s story; when your grandfather is forwarding you something, you know it has legs. As of Monday morning, Auburn-Alabama and the new Big Bang had received approximately 38,000 pageviews, making it—get this—the fourth most-read article in the Daily’s history, or at least since 2008, when they started using Google Analytics. It’s on the cusp of being the third most-read. Only a bizarre three-year-old story on a Korean rapper who graduated from Standford, a 2012 story on the tragic death of a member of Stanford’s women’s volleyball team, and an article from March on Stanford’s record-low admissions rate are more popular. Combined, those posts have 113 comments. Shi’s column has 91. “The reaction is actually kind of sobering, because you realize, hey, if just one person decides to watch TV instead of trawling Google for any mention of the Iron Bowl, maybe all of this never happens,” Shi says. Related: The Rod Bramblett Iron Bowl Call lip sync champion is a 25-year-old from North Carolina who wasn’t even an Auburn fan but now she is. Someone needs to record a John Facenda voice reading the last two paragraphs of Shi’s column and match it with Davis’s run, majestic music in the background.